I was called to visit a couple who had tragically lost all four of their cats in a house fire. Rob had spent some time in hospital afterwards due to the fire impacting his health quite seriously and suffered with ptsd. His partner Jackie was away from home when the fire broke out was understandably devastated, however, she was not affected in quite the same way as Rob. As I was driving to the appointment to see Rob and Jacky, I did not know what to expect. I was confident I would be able to provide peace of mind and answers to some of their questions. I wondered about the cats and what they were like. On the way to their house. Most of my work is on the kooky side although it is all very normal to me. So, as I drove in the sunshine I became aware of a black cat, then a white and ginger cat, a tabby and white cat, and finally a white and black cat It was most interesting; they came to me in my minds eye one at a time. I wondered if it might be the cats I was going to communicate with later that day. When I arrived at Rob and Jackie’s home it was clear to see they had started over again. Through our lives we all tend to collect items, sentimental or otherwise, along the way. Even the most minimalist homes have signs of the life the people within lead. Their little flat didn’t have this; I could feel the starkness of having to start again. We sat down, and I was shown pictures of their cats. Rob and Jacky apologized for not having better images but explained they had lost so much in the fire, nearly everything had been destroyed including precious photos. I offer a mental note to myself and you the reader – back your irreplaceable pictures up to the cloud. During the animal communication session. 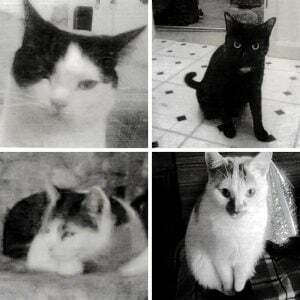 What struck me was their likeness to the four cats who had come through to me in the car. I shared this insight with them and we all chuckled at them coming to check me out ahead of our communication. not to laugh at the cats directly, it was their timing that cauused us to laugh and laughter after all, is a great medicine! Especially the order in which they came through, this very much reflected the cat hierarchy or cat pecking order from when they were alive. Through the photographs I was able to connect with each cat individually one at a time, despite how they had crossed the rainbow bridge, I was able to get an impression of their unique personalities. I shared with both Rob and Jackie their favourite foods and places to sleep, which were key identifiers in who each individual cat was along with very personal messages for both Rob and Jacky. I asked them messages for Rob and for Jackie, questions such as: how can they improve their life, were they in pain or discomfort when they passed, where are they now and if they had any messages they wanted to share? Wow, the insights and laughter we all gained from their feedback was healing on its own. There were deep belly laughs from some of the messages and a few tears along the way too. Salem who is the black boy (top right) was very strong, wise and playful. He adored Rob and had a message for Rob to get out there, to not let the fire hold him back and to get back on the stage. He also gave me an overwhelming sense of a huge roast potato, so much so my mouth was watering. I could see it in a big roasting tray with a roast dinner. When I shared this with Rob and Jackie they both fell about laughing and explained if they ever went away for a night they would make a roast dinner for the cats and leave it on the floor. Salem would go mad for the roast potatoes. He went on to explain that he was the cat shadow that they both could see out the corner of their eyes. Brandy is the pretty white and ginger, (bottom right) with a sparkly personality, she explained she slipped away peacefully just went to sleep. She said that she visits and touches their face with her little paw (which is what she did when she was alive). She went on to share that they would recover from this tragedy and to get out everyday. She explained that she is the shimmer of light that catches their eye. To notice that and know that she is nearby surrounding them both with love. Mannie is the tabby and white, (bottom left) a more cautious wise and loving cat that has a rather independent and old soul. Mannie loved to sleep on a snuggly blanket and bask in both love and sunshine. Mannie had some words of wisdom for both Rob and Jackie to get out move to music, to get out dancing. Mannie apologized for causing them so much hurt with their passing and said it was all meant to be as part of a bigger picture. He reminded them of how patient they had been with him when he arrived and advised them to apply that same patience with their own journeys through recovery. He also said that he is the cat shadow padding across the bed at night and sends them both so much love. Sabrina is the white and black cat, a little unsure of new people and demanded to know who I was (top left). She is minxy, feisty and joyful and had a lot to say. She explained that fish was always her first choice a closely followed by anything that Rob and Jackie gave her off their own plates. This caused much merriment and in turn healing too. She shared that she teased Manney and loved to play with Salem when she was alive and now she is everywhere like light but better with unicorns and dragons. She said that there was no pain just a quick transition to the other side. She was rather authoritative in her tone to me and I had to share some key messages particularly for Jackie. Sabrina said she must get her cards out again and start noticing the light beams that dance, as that is her making contact. She also had specific instructions about how important it would be for Rob and Jackie to have a ceremony for them, she went on to explain that it needed to be in two full moons time, in Nousley woods which is an ancient woodland in Essex and there was a specific tree to go and hug. 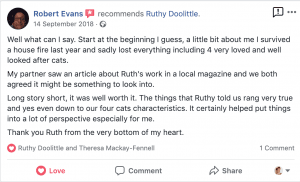 Both Rob and Jackie felt hugely relieved about the cats after our session and made plans to hold a memorial ceremony for them. After some time passed I contacted both Rob and Jackie to see how they were getting on and was delighted to hear that Rob had been on stage and had been in three separate films and gained full time employment. Rob’s PTSD was a distant memory and life was being lived once more. Rob explained how much peace of mind they gained from knowing that their cats were still around in spirit form, they both had started to heal from a traumatic experience and live their lives again. “Well what can I say. Start at the beginning I guess, a little bit about me I survived a house fire last year and sadly lost everything including 4 very loved and well looked after cats. 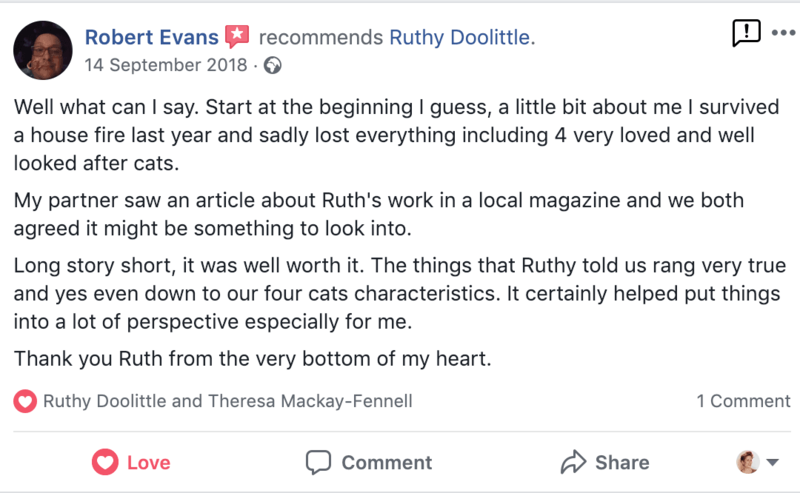 My partner saw an article about Ruth’s work in a local magazine and we both agreed it might be something to look into. 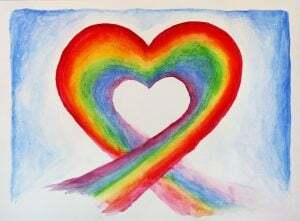 If you are struggling with animal bereavement and have no or little support, then please do reach out. 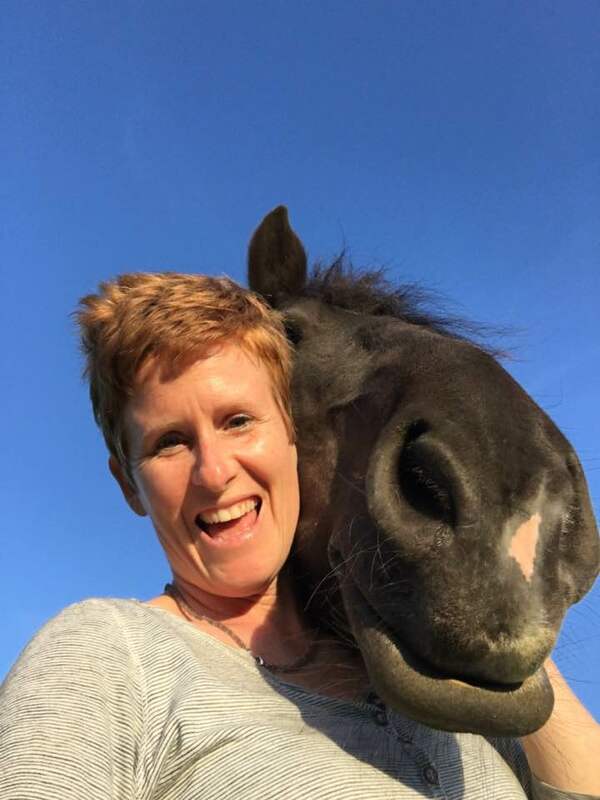 An animal communication session can be a hugely rewarding and healing experience. I am here to help you with your grief during this time, having experienced a broken heart from just this on more than one occasion. Book a cup of tea and chat with me or get in touch here.